In the 3rd century a Celtic tribe called the Berones inhabited the Rioja and the cities of Tricio, Varea and Leiva marking the territory of the Berones region which is today the city of La Rioja. Rioja is a known wine region and province in northern Spain with vineyards that surround the old town of Halo and occupy the Ebro valley located below the Cantabrian Mountains. Rioja is also known for the messy wine battle and has many wineries ranging from small traditional cellars to ones that are modern and well designed with interesting architecture. Located in the Rioja Alta area in the village of Ollauri is the Bodegas Beronia founded in 1973 by 3 businessmen and friends from the Basque country whom frequently visited the area and fell in love with all it had to offer. The three friends were culinary fans and wanted to produce wines to go with their foods as an experience for guests. They created and specialised in Reserva and Gran Reserva wines that were integrated into the Gonzales Byass family of wine groups in 1982 and expanded into the international market making them one of the most renowned Spanish wineries internationally with the pure and traditional Rioja wines that are made in a unique Beronia style. Rioja has many micro climatic conditions which produce great wines as the soils have a balanced structure of clay, sand and sediments with low alkalinity and organic material with a richness of minerals from the Ebro River and the ocean protection along with a balance of rainfall throughout the year. There are 900 hectares of vineyards that are controlled by Beronia as well as 25 hectares of their own vineyards with plantings of Tempranillo taking up almost 80% with Graciano, Mazuelo, Garnacha and Viura being the remaining varietals and vines at an average age of 30 years except for 50 acres of the vineyards consisting of vines that are over 60 years old. There are also vines that are 100 years old and were planted before the root disease Phylloxera wiped out most of Europe’s vines. The vineyards have small individually owned parcels that are grown by over 200 growers with a good relationship with Beronia, carefully selected, nurtured and supervised by the winemakers and Beronia uses sustainable farming methods that include recycling by – products, purifying waste water, waste management, reduction of energy consumption and they also use environmentally friendly packaging with a production of organic wine that is 100% Tempranillo. They have also received a certificate for their environmental efforts. The wines produced are 90% red with long ageing in French and American oak barrels as well as mixed barrels that were created by the winemaker and consist of American Staves and French tops. Beronia have 30000 barrels that are stored in an underground cellar with natural temperatures and humidity. The average age of the barrels is 4 years old and the wines are decanted every four months and wines are then aged in the bottle. The Beronia and it also includes iconic wines such as Beronia 198 Barricas Reserva, IIIaC, and Beronia Vinas Viejas which is found in their Premium collection. Ecologico consisting of 100% Tempranillo with an intense deep red colour and aromas of red fruits, chocolate, cocoa, liquorice and cinnamon with flavours of cherry. This wine undergoes a cold maceration followed by an alcoholic fermentation with natural yeasts. A pump over is done and then transferred to mixed oak barrels for six months and bottled for 4 months before it is sold. Rueda Verdejo comes from a well ventilated and drained vineyard rich in calcium and magnesium with a combination of Verdejo variety and cascajoso stony soils. It is a pale yellow wine with hints of green hues and aromas of ripe stone fruits, aromatic herbs and floral touches with hints of fennel. Seleccion de 198 Barricas is an intense cherry colour with aromas of tobacco, spices, chocolate, nuts and dried fruits with flavours of chocolate, spices and mature fruits. A unique tour of the winery is available with an introduction to viticulture and a tour of the winery with a stage by stage walk through of the process followed by a wine tasting and aperitif. This magnificent winery will leave you feeling as if you would like to establish your own and if that is too ambitious then you can do a wine tasting course or a premier tasting that will leave your taste buds in a twist after the vintage vines begin to release the character of the wines. 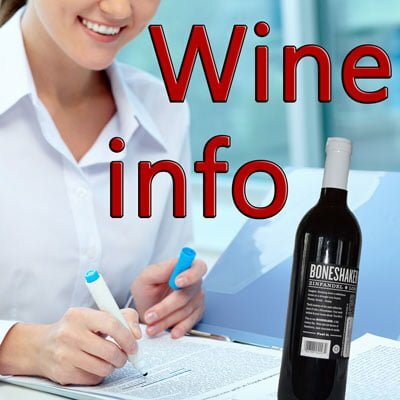 Find Bodegas Beronia on Facebook, Instagram, Pinterest, Google+ or Youtube.